In a medical emergency, time is everything. 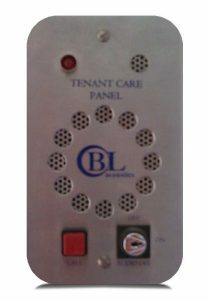 Developed with Nursing Staff over many years for the monitoring of patients with Epilepsy the BLA86 series Tenant Care System is a multi-room Audio Event and Call Monitoring system that automatically assists in identifying possible Seizure Events and immediately Alerts nursing staff. Via the remote stations staff are alerted to unusual events such as coughing, calling or banging noises or by staff or patients pressing a call button. These alert the staff that something has happened within that room and staff can talk back to the rooms’ occupant to assess and identify the situation or attend. B.L. Acoustics Limited have over 15 years experience in providing and maintaining specialist audio monitoring systems for Epilepsy. Our team of Acoustic Engineers can provide full bespoke systems to meet the exacting demands of our clients. We also provide a comprehensive service programme for our systems. Interface with Third-party Equipment such as Bed Sensors, Door Contacts & PIR’s etc. If you want to know more about Tenant Care Nursing Systems or if you would like a no obligation quote, please contact us.